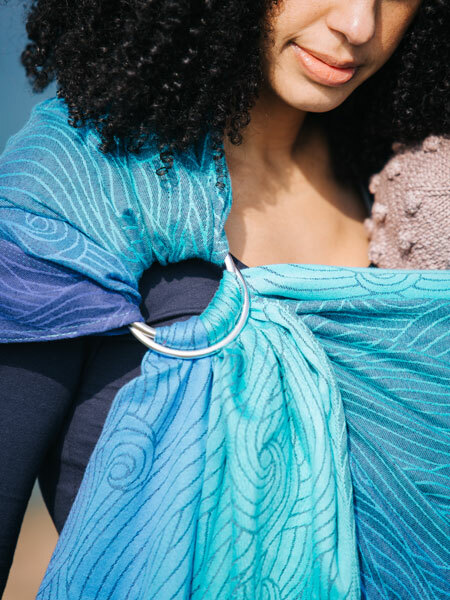 Pleated or Gathered shoulder ring sling – that is the Great Ring Sling Debate. 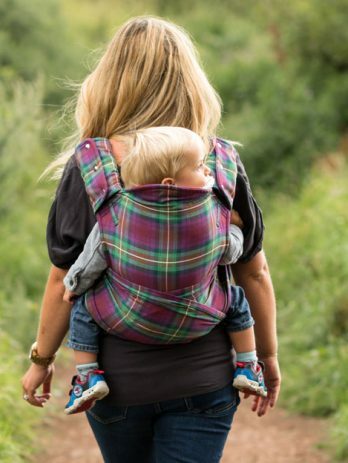 There’s a reason that we make two kinds of shoulders; it’s because they are both wonderfully comfortable and both have great advantages for carrying your little one. We couldn’t choose one as an overall winner even if we tried, as they both have different qualities we love. There are a number of reasons you might choose one over the other so read on to find which ones fits best for you. Not sure if a ring sling is for you? Learn more about this baby carrier style here. 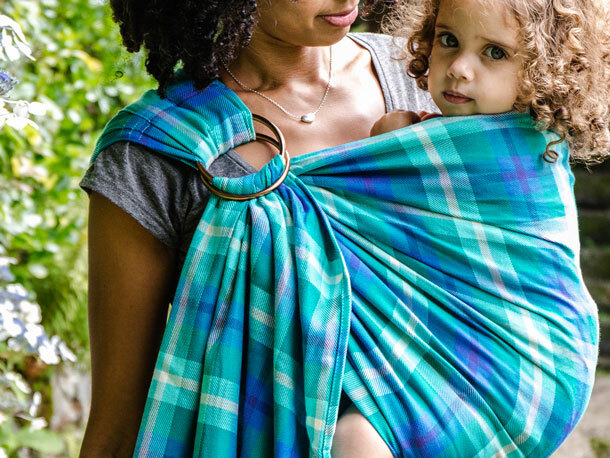 What is a Highland Pleated Ring Sling? We exclusively developed the unique Oscha Highland Pleated shoulder ring sling to ensure even distribution of weight and a streamlined aesthetic. This style is inspired by the Kingussie Kilt which uses both box and knife pleats in its construction. The material is folded and stitched into the pleated shoulder, this means the fabric doesn’t spread as far, and so takes up less space on your shoulder. It also provides a little extra padding for your shoulder, through the many layers of fabric folded into the intricate pleats. While the pleated shoulder sits nice and neatly if you do feel you want a little to come down over your shoulder, the unique Oscha pleat allows for a small amount to be pulled down to as a little cap to add balance to your carry. What is a Gathered Ring Sling? 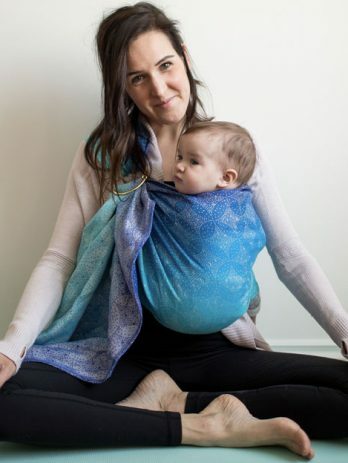 The Gathered shoulder ring sling is widely used in the babywearing community. A tried and tested favourite, this shoulder style is less structured than the Pleated shoulder, meaning it is worn pulled down over your shoulder. The fabric is gathered directly through the rings with no folds or sewn in pleats, allowing you to spread the fabric over the shoulder for even weight distribution & good adjustability. We make a floating gathered ring sling, which means the fabric is sewn farther back than is usual in a standard gathered sling. This allows you to further gather the fabric as you wish for more or less padding on your shoulder. One of the main differences between the two styles is how the fabric sits on and around your shoulder. As the highland pleats are formed by being folded and sewn into place, the fabric naturally takes up less space on your shoulder. This gives much more freedom of movement, compared with the gathered shoulder. Jenna wears a pleated shoulder ring sling here which allows for more movement. The Gathered shoulder has no such pleats, and so the material naturally takes up more space on your shoulder, and can be spread right down your arm too. While this does reduce the freedom of movement on that side, it also distributes the weight across your back more evenly, which you may find more comfortable. 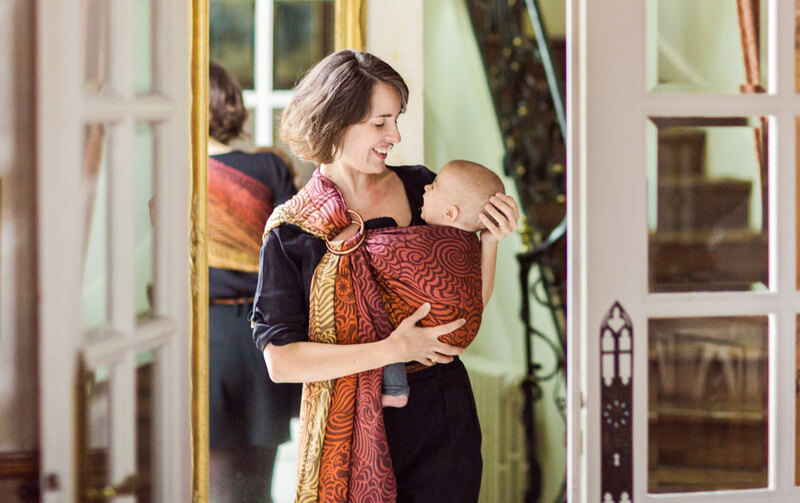 Rachel uses a gathered shoulder ring sling for more even distribution across her back. Before choosing, you can try this trick with a scarf. Securely cup your shoulder with a scarf, keep it taught and attempt to raise your arm. If the lack of movement bothers you, you’d probably prefer the freedom of the Highland Pleated shoulder. 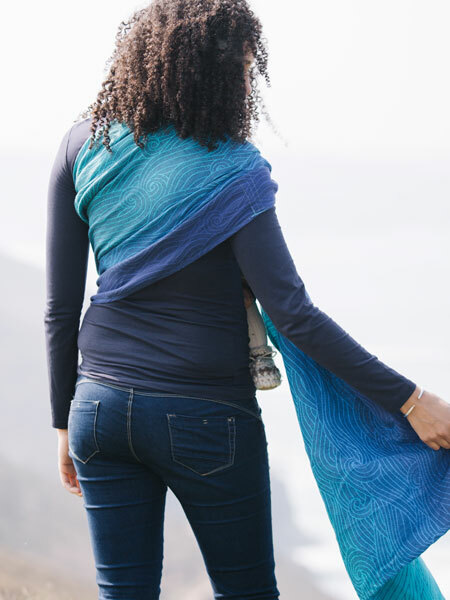 Decide which Ring Sling style is best for you! Can be positioned exactly as you decide. We hope this has helped you to understand the options you have to choose from when purchasing a ring sling. If you have any further questions please email us on info@oschaslings.com and we would be happy to discuss your options. We’d love to hear which side of the great debate you’re on! Join us in Clan Oscha and show us which side you picked. 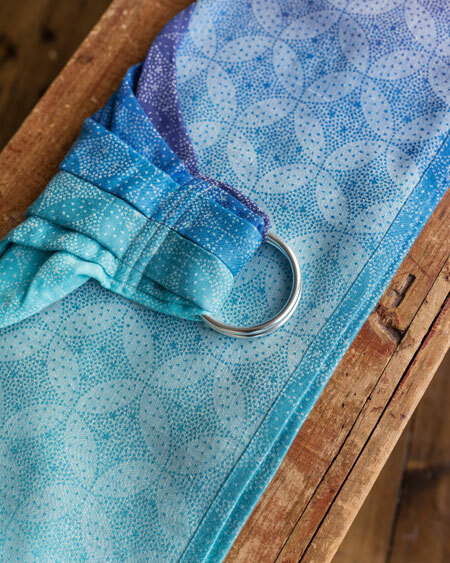 Shop for your Oscha ring sling here. Jess is a mum to two boys and a Baby Carrying Consultant based in Aberdeen, Scotland.